– pg. 164, READINGS IN BELIZEAN HISTORY (Second Edition), 1987, from an article by Peter Ashdown entitled Antonio Soberanis and the 1934-35 disturbances in Belize. In a sense, the neoliberal capitalist philosophy begins from the premise that man is a basically selfish creature. If we accept this premise, it follows that any social, political, and economic system which is based on a denial of this fundamental aspect of the human being, will be less successful than a system which accepts man as he is and allows, yea encourages, him to operate instinctively, or as his nature prescribes. In the neoliberal world, the individual is exalted, and the operative, concomitant system of so-called free market democracy assumes that once individuals are allowed and encouraged to operate without a lot of social or governmental restrictions, then such a system will produce wealth, in the form of goods and services, and such wealth will inevitably spread to the masses of the people, thus benefiting them. An antithesis to the individualistic, capitalist thesis developed over the centuries which declared that the state, or the government, had the responsibility to protect the masses of the people from excessively “gifted” or greedy individuals, in order to ensure that the wealth of the nation-state was available for the sustenance of the masses. Such an antithesis was at the heart of the Mexican Revolution, which began in 1910 to counter the neoliberal rule of the dictator Porfirio Diaz, the Russian Revolution which overthrew the feudal monarchy of the Czar in 1917, and the Chinese Revolution which came to power in 1949 under the leadership of Mao Tse-tung. That antithesis was also at the heart of the Cuban Revolution which came to power in 1959 under the leadership of Fidel Castro, and it was a basic principle of the African National Congress (ANC) when it fought against apartheid in South Africa for most of the twentieth century. In its extreme form, the antithesis to capitalism was called communism, and it was an atheistic philosophy. In its moderate form, the said antithesis was called socialism, and it allowed for the continuation of Christian beliefs and practices. A game-changing encyclical called De Rerum Novarum was released by Pope Leo XIII on May 15 in 1891 which was socialist in principle. The encyclical recognized the suffering of workers and peasants at the base of the socio-economic pyramids in Europe and in the colonized societies of the rest of the world, and encouraged a more enlightened, more humanistic Christianity amongst the ruling classes. Leo XIII’s encyclical was designed to reduce the surging appeal of atheistic communism to planet’s earth’s workers and peasants. In colonial British Honduras, when Antonio Soberanis (Gomez) began his militant organizing of workers and the unemployed in 1934, he was likely influenced by the Mexican Revolution, because his father was a Mexican, but there is no evidence that Soberanis, who was not educated, had any knowledge of Rerum Novarum or felt any special affinity for denominational Christianity. The situation was different with those Belizeans who began the agitation which led to the founding of the anti-colonialist People’s United Party (PUP) in 1950. The first leaders of the PUP were mostly Roman Catholic graduates of St. John’s College, and they were enthusiastic about Rerum Novarum. There was massive injustice in British Honduras, and the principles of the encyclical represented guidelines to address that injustice without becoming violent or atheistic. Of note is that the original PUP was in open, formal alliance with the General Workers Union (GWU). The formal entry of Shoman and Musa into the PUP when they became general election candidates in 1974 in Cayo North and Fort George, respectively, moved the PUP even more to the left, in the sense that Shoman and Musa were not as guided by the papal encyclical as Mr. Price was. They were more secular, more radical. From the time of the Shoman/Musa entry into public life with their New Year’s night 1969 demonstration against the Vietnam War, the Roman Catholic business element in Belize became concerned about their views, and as Mr. Price’s warmth towards the young activists became more manifest, the Catholic business element, also disturbed by the rising street power of the UBAD Party, established their own political party in late 1972. This was the Liberal Party, led by Paul Rodriguez, Manuel Esquivel, Net Vasquez, Harry Lawrence, and Curl Thompson, which soon became a coalition member of the United Democratic Party (UDP) when the UDP was established in September of 1973. I can’t say when the Catholic businessmen went even further and formed an anti-communist organization, but I know that San Perdomo, who had been the PUP area representative for Cayo South from the late 1950s, broke with the PUP and became one of the leaders of the anti-communist organization. Since that time, the prominent Perdomo family has been UDP, whereas it had always been firmly PUP from the early days in the 1950s. In this brief essay, I have tried to give you some background to the present reality, a reality which has existed since the early 1990s, where the PUP has gone and remained neoliberal, which is to say, in a direction which is the opposite of what the PUP represented in 1950. In the Iowa caucus on Monday in the United States, which is the first electoral test in the Democratic Party primaries to choose a presidential candidate for the November 2016 election, Vermont’s Senator Bernie Sanders almost defeated the powerful, Democratic-establishment candidate, Hillary Clinton, whose husband was United States President from 1992 to 2000. Sanders is described as a “democratic socialist,” and his political performance so far is nothing short of sensational in what may be described as the neoliberal superpower of planet earth. Cordel Hyde’s recent candidacy for leadership of the PUP created a lot of excitement across the length and breadth of The Jewel. One reason for this was because he was the only candidate at Sunday’s convention who ran on a social justice platform. There is an evident nostalgia in Belize for the social justice days. The statistics show that poverty has increased substantially in Belize since the abandonment of social justice a quarter century ago, and obviously human suffering must also have increased here. Yet, the garish signs of ostentatious personal wealth in Belize stare us in the face every day. Cordel Hyde is not going anywhere soon. 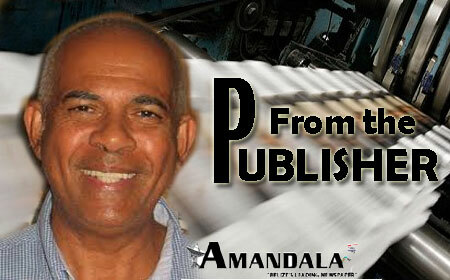 Neoliberalism in Belize has failed the masses of the Belizean people.